Carl Rath is the Professor of Bassoon at the Lawrence University Conservatory of Music and performs with the Lawrence Chamber Players, following a distinguished 31 year tenure at the University of Oklahoma. He teaches and performs at the Red Lodge (MT) Music Festival and taught at the Bocal Majority Bassoon Camps in Dallas. 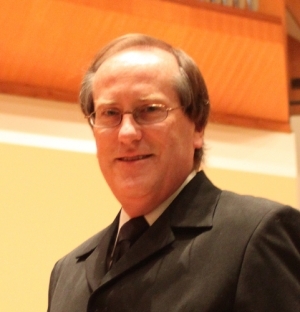 Rath’s performing experience has included Principal Bassoon in the OKC Philharmonic, Fox Valley (WI), Oshkosh (WI), and Classical Music Festival (Austria) orchestras, plus chamber music performance in the Oklahoma Woodwind Quintet, Brightmusic (OKC), and numerous collaborative recitals with colleagues. He is a frequent performer at International Double Reed Society conferences, hosting the 39th Conference in 2010 at the University of Oklahoma, and will host again at the 2017 Conference at Lawrence University (WI). He has taught master classes and performed in Canada, Hungary, Austria, England, Argentina, China, Taiwan, and throughout the U.S. His performances have been heard on national and international radio programs, as well as on five compact discs. He was a Quarter-finalist in the Concert Artists Guild Competition as bassoon soloist and performed in Carnegie Hall with the Oklahoma Woodwind Quintet. Rath is an advocate for bassoon ensemble performance, forming the Sooner Bassooners, Viking Bassoon Ensemble, and International Bassoon Quartet to provide an unique experience for students, professionals, and audiences. The concerts feature arrangements of orchestral compositions, television/movie themes and popular music, as well as original compositions for bassoon ensemble. A ‘child of the 60s,’ Rath’s love of The Beatles and popular music inspired him to develop courses at OU and Lawrence in Rock-and-Roll History and The Beatles. He is a frequent presenter of talks on The Beatles for schools and civic associations. He is a conductor for 1964, a Beatles tribute band, and founder and original drummer of a popular classic rock band, MidLife Crysis.